Good news! We’ve made life a little easier and you can now place your delivery orders online! Head to Crussh.com/delivers you can get 20% off your first order when you register with us. All you need is to add the code FIRST20 at the start of your order. You can also check through your previous order history and repeat historical orders in just a few clicks. Happy days. 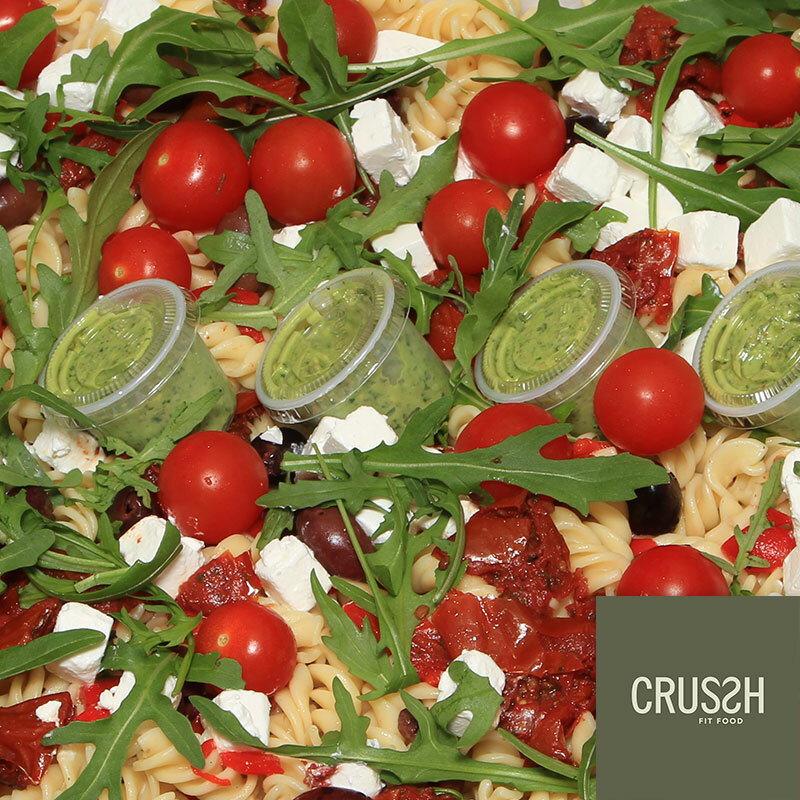 Crussh food is fresh, healthy, tasty, and can be delivered to you! Please click on the links below to review their menu’s. It’s easy… Simply call our store on Phone 0207 626 1864 or email them at bevismarks@crussh.com by 3:30pm the day prior (for platter orders and orders over £50) or, before 10.30am on the day for smaller orders. The minimum order is £30 and delivery is free. You can pay with cash, cheque or BACS.